Producer, Label Owner, and DJ Daddy Kev talks to SSL about his own approach to audio production and how the SSL XL-Desk has brought analogue back to the heart of how he works. Ponderosa Studios is a great example of a new breed of mid-scale commercial recording studio. Their workload is diverse and their team equally so… but they have one common goal; to deliver more than can be achieved at home inside-the-box with a dedication to quality and creative talent. 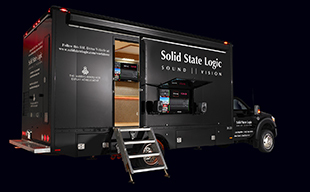 We talked to them about why they selected the SSL XL-Desk and how it has transformed their sound and helped their business. SSL talks to Abe Sieferth and Danny Taylor at Transmitter Park Studios in Brooklyn, NYC about why the XL-Desk was the perfect fit for their analogue centric production studio.